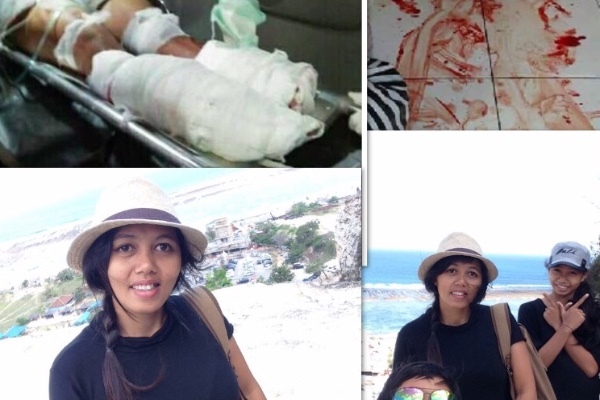 I was shocked and horrified to hear this morning that my housekeeper and friend Putu Careen the victim of a horrific domestic violence attack a few nights ago at her home in Canggu, which resulted in her having both of her feet sawn off with a machete, in front of her two young children (9 and 13), by her husband. 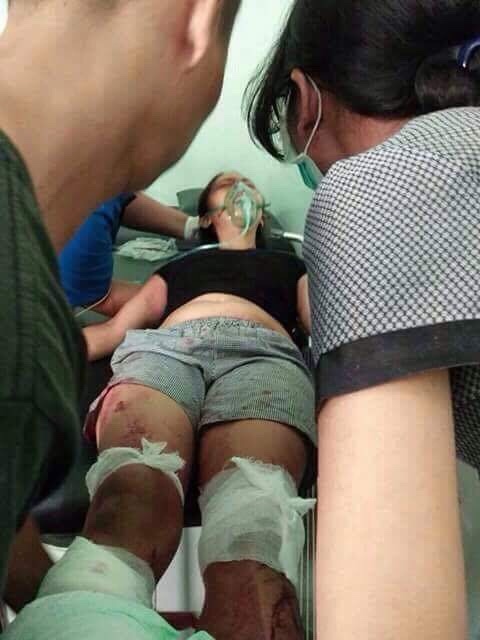 Not only is this one of the most vile and vindictive acts of violence I've ever witnessed, the worst part is that in Indonesia there is limited welfare or government assistance for medical treatment of this kind. 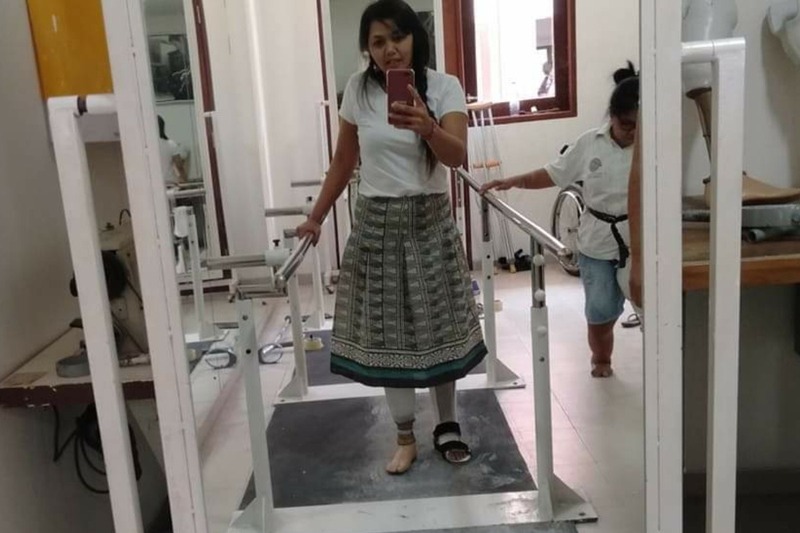 This incident has left Putu without the ability to work to support her 2 children, pay for immediate medical treatment, prosthetic legs or obtain any kind of rehabilitation. All proceeds will be used for Putus expenses and all remaining money will be given directly to Putu, via monthly salary or immediate necessity, to provide for herself and her children. If you have ever had the pleasure of meeting Putu, you would know that she is honestly one of the most genuinely kind and caring people you could ever meet. Ever since I moved to Canggu 2 years ago, Putu has helped me with everything, from finding accommodation to helping me with the local markets and everything in between. She even came to make me her home remedies when I was sick with dengue fever. I struggle to see how anybody could do such a thing to such a loving and caring human being. I visited her in the hospital today and despite everything she has been through, she is still remaining positive and smiling in the same way she always has. It was so remarkable to see for someone in her situation and was such a testament to the amazing woman and mother that she is. Some of your donations were handed to Putu directly by myself yesterday afternoon for her immediate needs. 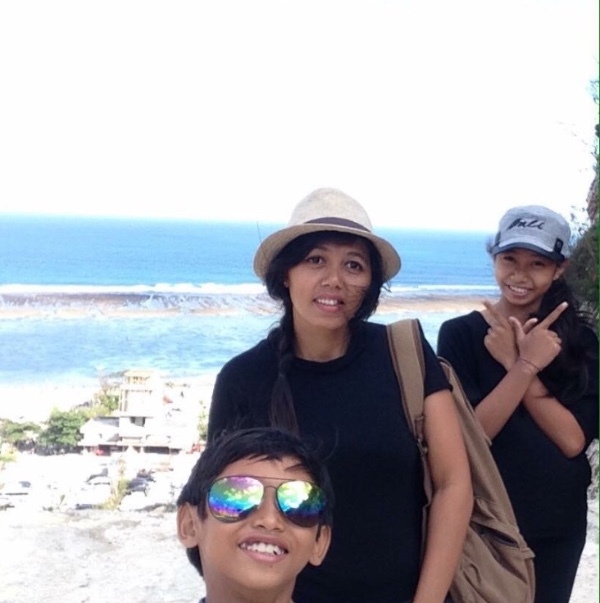 All money raised through go fund me will be withdrawn from Australia and delivered personally to Bali by myself and used directly to pay for all medical expenses and accommodation for Putu and her children. I will be uploading photos and keeping you all updated on how the money is spent every step of the way. 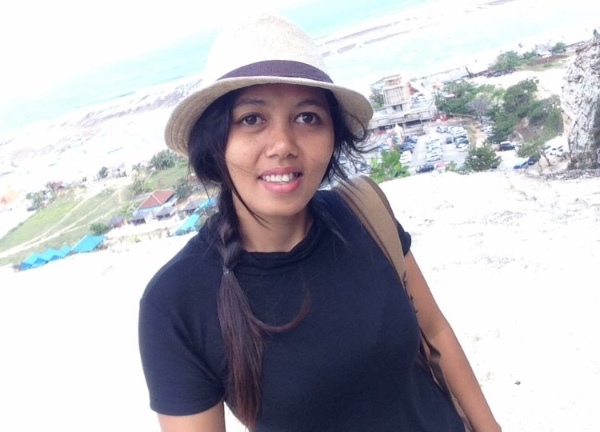 Everyone here in Bali who knows her is dedicated to making sure her and her family are looked after and we are all egger to share her developments along the way. All remaining donations will be used to set up a strictly managed account for Putu and her 2 children to insure it all goes directly to their needs and that nothing gets lost along the way. Cash donations are being taken at Bali MMA in Canggu by Freya. These donations will also be diligently documented so that donors know where the money has gone. We are working on creating a PayPal. If you wish to transfer donations to an Indonesian bank account, you can donate to a BCA account. The number is 7310100867 BCA bank code is 014. The name on the account is Freya Sutan-Assin who works directly with myself and our team daily. I will be sure to keep you all posted as more unfolds. Details: I am a Western Australian who frequently visits Bali Indonesia. I have been a friend and employer of Putu for 2 years. 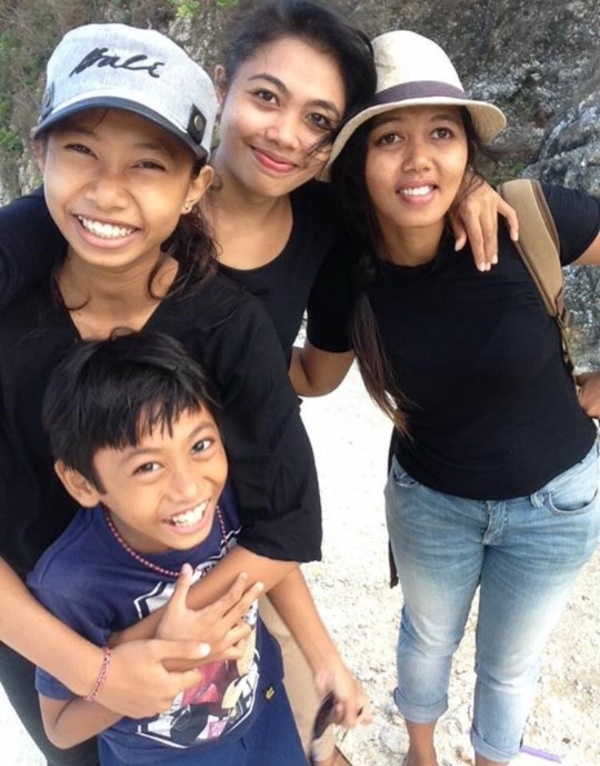 I am also working with several other locals and expats to insure Putu and her children get they care they need. For any further references please do not hesitate to email me. Thank you all for your care and generous donations. A few months ago, we purchased some titanium implants for some upcoming surgeries on Putus foot. She has since healed well from those surgeries and is undergoing rehab to learn how to walk again. We are all very proud of the amazing progress she has made, and her mental strength throughput the whole ordeal is inspirational to say the least. Thanks to everyones kind donations, we have also recently put some money towards a house for Putu and her family in her village near singaraja. We are also managing an account for her so she can receive a regular income while recovering from her injuries. Her and her family are now also making and selling bags which are being stocked at a few stores around Seminyak. I will fill you in on further details regarding this soon. Thank you all so much for your generosity. Thanks to everyones amazing support Putu is recovering well and her and children are safe and being well looked after. My apologies for the lack of updates. I havnt been able to access my gofundme profile for a while. A little update on Putu. I saw her last week and she healing well. 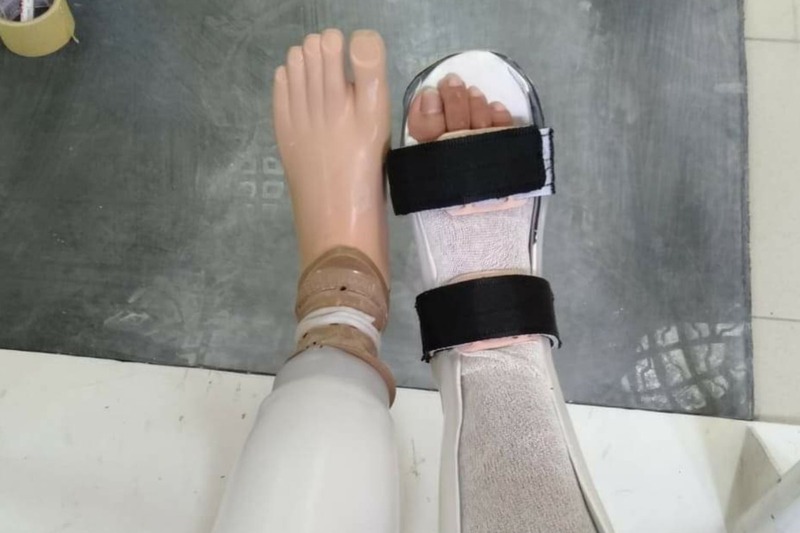 With the help of everyones generous donations, we were able to pay for several titanium implants to repair the bones in one of her feet(the one we managed to save). Her other leg is healing well also. From what she tells me she will be ready for her prosthetic limbs within the month.